Tongaat Hulett is an agriculture and agri-processing business, focusing on the complementary feedstocks of sugarcane and maize. Through its sugar and starch operations, Tongaat Hulett produces a range of refined carbohydrate products from sugarcane and maize, with many products being interchangeable. Global sweetener markets continue to be dynamic and the business seeks to optimise its various market positions, leveraging off its current base to maximise revenue from these products. The business's sugar operations are well placed to benefit from evolving dynamics of renewable electricity and ethanol in the SADC region. 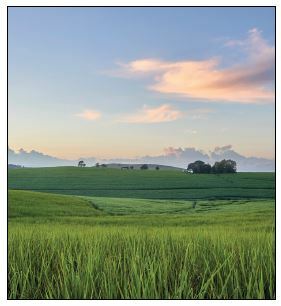 Its ongoing activities in agriculture have resulted in the company having a substantial land portfolio within the primary growth corridors of KwaZulu-Natal with strong policy support for conversion at the appropriate time. 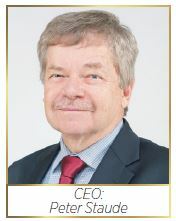 A core element of Tongaat Hulett's strategic vision is to maximise the value generated from the conversion of land in the portfolio by responding to key demand drivers, identifying its optimal end use for all stakeholders and the investment in developing the land platform, which underpins the pipeline of shovelready land. Value creation for all stakeholders through an all-inclusive approach to growth and development is a key focus area and Tongaat Hulett regards its constructive interfaces with governments and society to be significant. 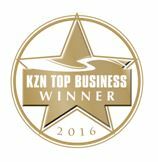 Tongaat Hulett has seen the benefit of partnering with key stakeholders with the objective of achieving outcomes that represent a "win all". In so doing, these relationships contribute towards the achievement of the business's strategic objectives, while also meeting the objectives of its various stakeholders, including shareholders, governments, private farmers and their representative bodies, communities, employees and people impacted by the company's operations and its development activities. Tongaat Hulett's approach to working with its key stakeholders continues to support its objective of being considered as a developmental partner of choice by governments in the SADC regions, in their journey to further growing their agricultural sectors. The company's South African sugar operations on the KwaZulu-Natal north coast and in the Zululand region operate four sugar mills at Maidstone, Darnall, Amatikulu and Felixton. These mills have an installed capacity to produce more than 1 million tons of sugar per annum. Cane supplies come from a combination of predominately rain-fed own-estates, large-scale commercial and small-scale private farmers in rural KwaZulu-Natal. The operation's central refinery in Durban produces some 600 000 tons of high-quality refined sugar per annum, with the primary product being the leading Huletts® brand. The South African sugar product range offers a total sweetener solution including a range of high-intensity sweeteners. The sugar operations in Zimbabwe consist of Triangle and a 50,3 percent stake in Hippo Valley Estates, representing a combined installed sugar milling capacity of more than 640 000 tons. The total of the installed refined sugar capacity is 60 000 tons and the Triangle ethanol plant has an installed capacity of 41 million litres over a 48-week production season. The Huletts Sunsweet® brand is the leading sugar brand in the country. Sugar operations comprise the expanded sugar mills and estates surrounding Xinavane and Mafambisse. The two operations have a combined installed milling capacity in excess of 340 000 tons of sugar per annum. The favourable agricultural conditions, proximity to ports, and the technical support from South Africa, position the Mozambique operations well for further growth. Tongaat Hulett's Tambankulu sugarcane estate in Swaziland has consistently achieved excellent sucrose yields due to the good soil and growing conditions in the region and delivers its cane to the nearby Simunye and Mhlume sugar mills. The estates have the capacity to produce a Raw Sugar Equivalent (RSE) of 60 000 tons per annum. The Botswana operation has the capacity to pack and distribute 60 000 tons of sugar per annum using its Blue Crystal® brand while in Namibia, Tongaat Hulett has a 80 000 ton per annum packing and distribution operation with its leading Marathon® brand. The eight sugar mills in Mozambique, South Africa and Zimbabwe all generate electricity from bagasse during the sugarcane crushing season. In some instances, these operations supply electricity to the grid. In Zimbabwe, Triangle has an ethanol plant which provided 21,7 million litres for blending with petrol during the 2017/18 year. Voermol Feeds is located at the Maidstone mill in Tongaat, KwaZulu-Natal. Tongaat Hulett manufactures and markets a range of energy and supplementary feeds to the livestock farming community through its Voermol® brand. Voermol Feeds is the market leader in the molasses and pith-based animal feeds industry in South Africa. Tongaat Hulett's wet-milling operation is the major producer of starch and glucose on the African continent. Established in 1919, the starch operations convert more than 670 000 tons of bought-in maize per annum into a wide range of products, from unmodified maize starch to highly-refined glucose products, which are key ingredients for manufacturers of foodstuffs, beverages and a variety of industrial products. The business has distribution networks and facilities in Zimbabwe, Australasia and the Far East. Tongaat Hulett's significant investments in the production of sweeteners using both sugar and maize will ensure that the business is well positioned to benefit from global developments in this area. Tongaat Hulett has an unequalled portfolio of land in prime positions near Durban and on the north coast of KwaZulu-Natal earmarked for conversion from agriculture to a range of urban and tourism uses over time. The business is focused on creating stakeholder value through converting land within its portfolio of prime land near Durban and Ballito to enable investors, developers, end users and authorities to access bankable shovel-ready real estate investment projects that yield the best possible urban use. Further details are provided in Tongaat Hulett's Land Development Portfolio, available at www.tongaat.com. Leading sugar brand in South Africa, Zimbabwe, Botswana and Namibia. South Africa's leading supplier of refined carbohydrates. A world leader in sugar milling technology. Tongaat Hulett optimises land conversion and development at the appropriate times mainly in the KwaZulu-Natal coastal corridor north of Durban. Operations: Tongaat Hulett Developments, Tongaat Hulett Starch, and Tongaat Hulett Sugar.